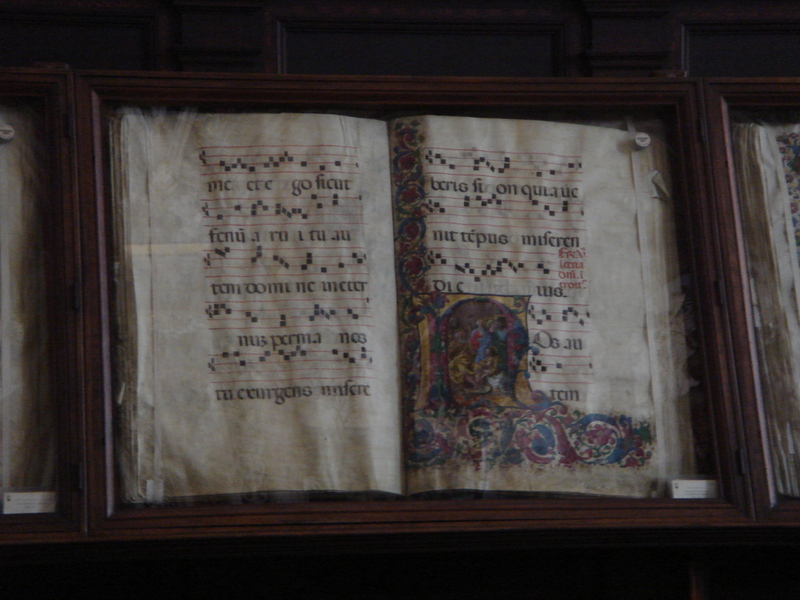 I’ve been sorting through my summer holiday photos of our fantastic trip to Italy, and I thought I’d share with you my pictures of the magnificent illuminated manuscripts which once belonged to Pope Enea Silvio Piccolomini. 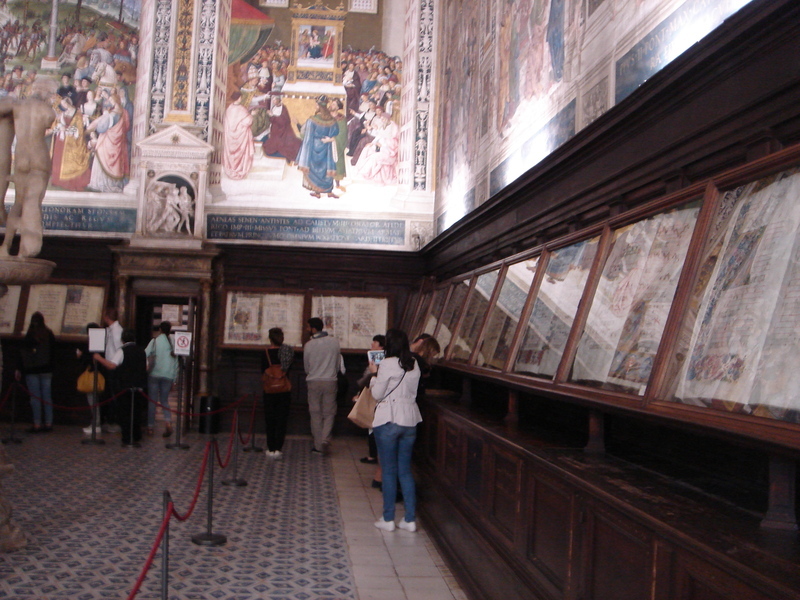 The manuscripts, (or MSS), are housed in the 15th century Piccolomini Library in Siena’s Duomo and as well as being beautifully painted are some of the largest I have ever seen. You may also notice the brilliantly frescoed walls and ceiling which were painted by the Perugian painter Pintoricchio (Bernardino di Betto) in 1502. Although the display is great for maximum visual impact, large books should ideally be stored horizontally to avoid ‘text block drag’. This is when the paper exerts strain on the sewing stations and eventually causes breaks at the joints and damage to the binding. This entry was posted in Paper history. Bookmark the permalink.